Regarded as Dundee's foremost female philanthropist, Mary Ann Baxter, in 1883, was the principal benefactress of University College, Dundee. In 1863, she, with her brother and sister, donated Baxter Park to the city and contributed generously to many local and national causes. Mary Ann Baxter was a founder member of the Congregational Ward Chapel and used her private fortune to support the work of the Congregational Mission in Hilltown, the YMCA and the Sailors' Hall, amongst many other local charities. Mary Ann Baxter (1801-1884) was the seventh of the eight children born to William Baxter (1767-1854) and Elizabeth Gorrell (1763-84). She was named after her maternal aunts, Mary and Ann Gorrel. Her siblings were Eleanor (1788-1868); Edward (1791-1871); David (1793-1872); Margaret (1794-1845); John Gorrell (1796-1853); William Gorrell (1798-1852) and Elizabeth (1802-1883). Her father opened a flax mill at Lower Dens Works in Dundee in 1822, operating as William Baxter and Sons (later Baxter Brothers). The steam powered, large scale manufacture of linen was the foundation of the Baxter family fortune, under the leadership of Mary Ann’s brother David. As an unmarried daughter of a wealthy middle class family, for the most part Mary Ann lived privately at home, though she was known to have liberal views on religion. 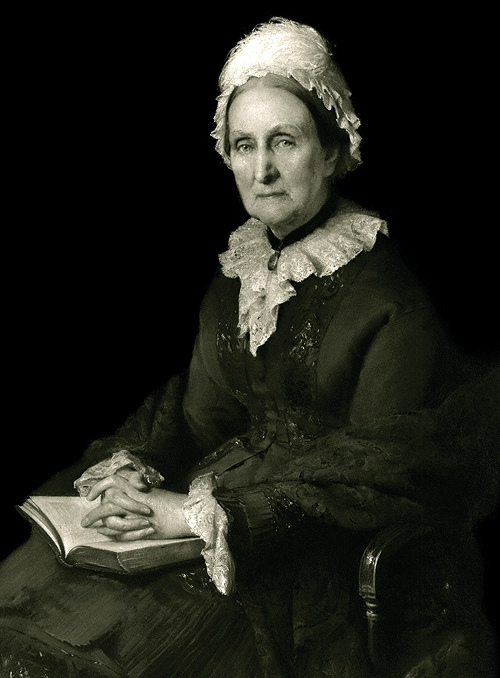 She was a founder member and generous donor to the Congregational Ward Chapel, Dundee and funded the opening of the Congregational Theological Hall in Edinburgh. She was a benefactress to the London Missionary Society, which she favoured for their un-denominational policy and to many other home and overseas missions and private causes. Mary Ann Baxter, described as a ‘clever and far seeing lady,’ outlived all her siblings and eventually succeeded to the family estate of Balgavies, amassing a considerable private fortune. From the mid 1870s, the success of university extension colleges in England stimulated local demand for university education in Dundee, now a major industrial city. The campaign was led by Mary Ann’s relative, Dr John Boyd Baxter and, in 1880, it was announced that Miss Baxter would head the subscription list, providing the necessary financial backing for a university college. Mary Ann contributed the major funding of £130, 000, Boyd Baxter contributing £10,000. This was said to enable Mary Ann to realise her ‘noble ambition of embellishing her native town and promoting the cause of higher education.’ In 1881, the Baxters endowed University College, Dundee to provide for ‘the education for persons of both sexes and the study of science, literature and fine arts,’ and it opened on 5 October 1883, inaugurating higher education in Dundee – the forerunner of the modern University of Dundee. Mary Ann died on 19 December 1884, with obituaries in the Scottish press recording her many philanthropic contributions and her reputation as a ‘considerate, sympathetic and helpful friend’ to charities and individuals alike. Mary Ann Baxter left over £300,000 in her will, which confirmed her private generosity and sense of public duty in the long lists of legacies and bequests. Old Parish Registers. Dundee. Births. (1801). 282/ 80 473. ScotlandsPeople website. Dundee Courier. 23 December 1884. p.2. British Newspaper Archive website. Statutory Registers. Dundee. Deaths. (1884). 282/4 1047. ScotlandsPeople website. Dundee Post Office Directory, 1864-65. p.96. Dundee Central Library, Local Studies. Dundee Post Office Directory, 1867-8. p.98. Dundee Central Library, Local Studies. MS 'Genealogy of Baxter Family.' (1863). Lamb Collection. LC377(4). Dundee Central Library, Local Studies. Cooke, Anthony J. (1980). Baxters of Dundee. pp.16-18. Dundee. University of Dundee. Congregational Roll Book. (1849-66). Ward Chapel, Dundee. CH14/4/35. Dundee City Archives. Baxter, Kenneth. (2011). 'Mary Ann Baxter: Philanthropist and Founder of University College, Dundee.' in Ten Taysiders. pp.31-6. Dundee. Abertay Historical Society. 'Address and Acknowledgement to Sir David and the Misses Baxters'. 28 October 1863. Minute Book 1 of the Baxter Park Trustees. p.326. University of Dundee Archives. Miskell, Louise, Whatley, Christopher A and Harris, Bob. (2000). Victorian Dundee: Image and Reality. pp.78-9. East Linton. Tuckwell Press. Shafe, Michael. (1982). University Education in Dundee. Dundee. University of Dundee. pp.8-13; Dundee Year Book (1883), Appendix, pp.55-97. Dundee. John Leng and Co.
Dundee Obituary Book 1. pp.15-18. Dundee Central Library, Local Studies. Baxter, Kenneth. (2011). Ten Taysiders. p.35. Dundee. Abertay Historical Society. Dundee Obituary Book 1; Dundee Year Book. (1884). Dundee. John Leng and Co. Dundee Central Library, Local Studies. Featured image, portrait of Miss Mary Ann Baxter of Balgavies, founder of University College Dundee. This portrait by E Hughes was presented at the opening ceremony on 5 October 1883. Courtesy of The University of Dundee. The information above about Mary Ann Baxter has been collated from a range of digital and hard copy sources. To the best of our knowledge it is correct but if you are relying on any information from our website for the purpose of your own research we would advise you to follow up the sources to your own satisfaction. If you are aware of an inaccuracy in our text please do not hesitate to notify us through our Contact page.